The Firenock lighted nock system is extraordinary. Every step of the way, you have the chance to decided what best fits YOUR archery needs. You can decide which exact lighted nock system you want to use, from hunting to intermittent (to hunt for turkey and for ground blind shooting) to target (automatically shuts off after 17 seconds). You can select the battery to match your temperature and longevity requirements: BL for medium low to high-temperature environments (-4 to 180 °F), BR for low-temperature environments (-17 °F), or BU for ultra long shelf life. 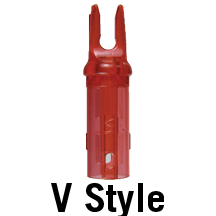 If you'e a bow-fisherman, you can use our Hydro Bow-Fishing Adaptor on your Firenock lighted nock to make the system function 20 meters deep in saltwater. 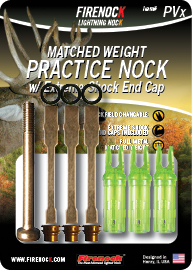 You can even switch it up whenever you like, with replacement options such as practice weights, extra o-rings, extra end caps, and up to nine colors of nocks always available. With such replacement options, you can replace, reuse, and/or restore your lighted nock system in different arrow systems. 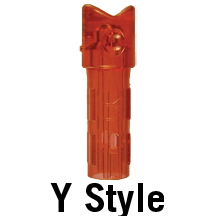 The options and choices described above are only a few of the literally thousands of combinations at your disposal. 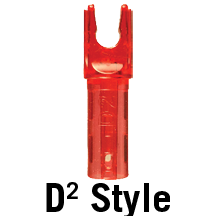 Please scroll and click below to explore all Firenock lighted nock system accessories. If you have any questions about the codes used to describe each pack, please refer to this page.